Enjoy world-class theatrical performances in this one-of-a-kind architectural icon. Designed to be one of the most flexible theaters in the country, the Wyly Theatre is home to the nationally recognized Dallas Theater Center. Discover one of the finest collections of modern and contemporary sculpture in the world. With its stunning gardens, distinctive architecture and special programs and events, it stands as a jewel of the Arts District. Visit this gateway to the Arts District for a wide array of performances drawn from diverse cultures and artistic disciplines. From dance and music to theater and visual arts, you’ll find it all here. Designed by architect I. M. Pei and renowned for its outstanding acoustics, the Meyerson has become a premier destination for live music. It is also home to the Dallas Symphony Orchestra and Dallas Winds. This unique treasure spotlights the arts of China, India, Japan, Korea and Southeast Asia. From the ancient to the contemporary, visit this free museum for outstanding exhibits, lectures and festivals. Behind the distinctive 60-foot glass facade and vibrant red panels, you will find a space recognized as America’s finest opera house. It’s the perfect place to enjoy world-class opera, musical theater and dance performances. As one of the country’s leading art institutions, the gorgeous Dallas Museum of Art boasts an impressive collection spanning over 22,000 works from around the world, plus interactive exhibits and innovative educational programs. This nationally acclaimed arts school has produced such gifted visual and performing artists as Norah Jones, Erykah Badu and Roy Hargrove, and serves as a prototype for magnet schools across the country. 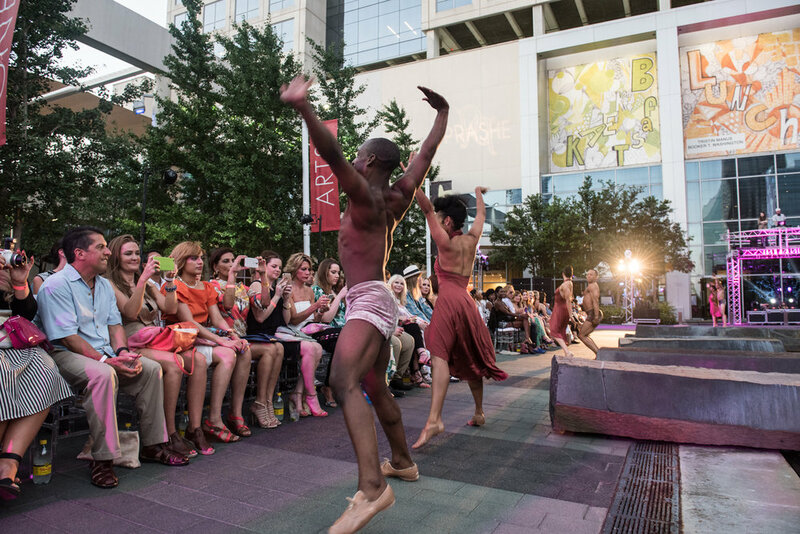 The Dallas Arts District is a 19-block, 68.4-acre neighborhood in the northeast part of Downtown Dallas.Learn more about the neighborhood by visiting these sites of other organizations in the Arts District.